Summer, ahhh, what a great time of year and celebrating it in the mountains can’t get any better!! 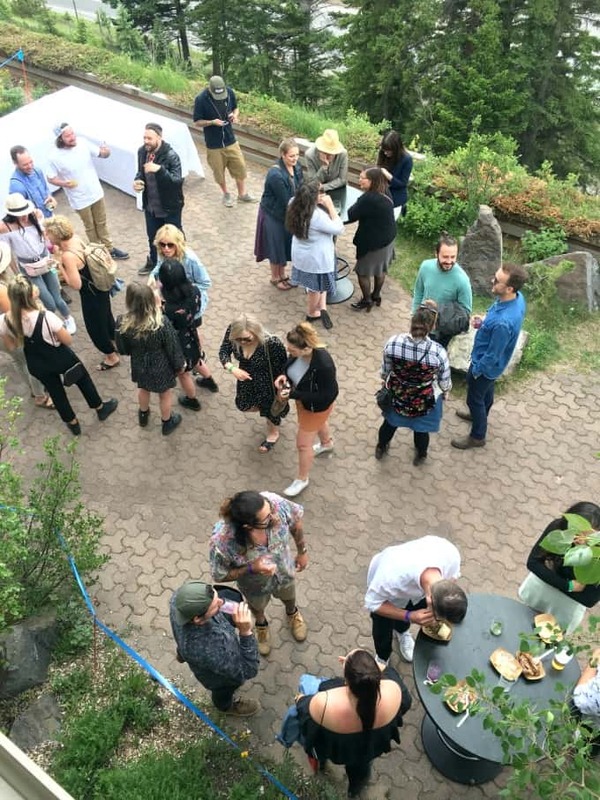 I was exhilarated to be invited to the Summer Solstice Celebration at The Juniper Bistro, Banff to kick off this very special season. 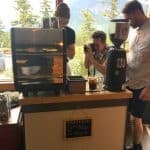 I honestly had not heard of this hidden gem of a spot, the Juniper Hotel and Bistro, I was intrigued to find out all about it. 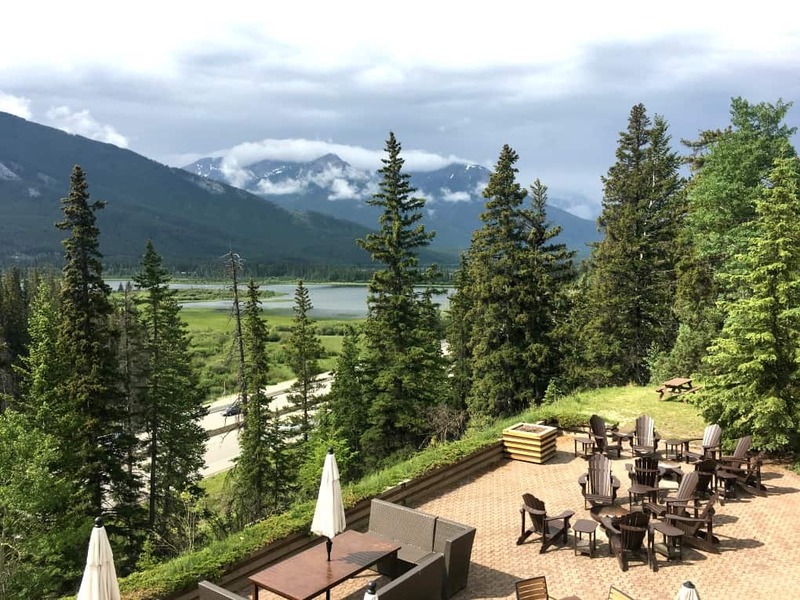 Located on the opposite side of the highway from the town of Banff this two story hotel is perched up at the base of Mount Norquay. The views from the Juniper Hotel are magnificent. This is from the balcony of my room, pretty impressive isn’t it. My King suite was of the utmost comfort. This hotel has a very natural setting and the decor is simple and vintage, yet with all the luxuries you need. The rooms are spacious and equipped with air cooling system, mini fridges, coffeemakers, safe and iron & ironing boards. The hotel doesn’t have an elevator but a fairly short amount of stairs to the second floor. There is small elevator to the restaurant for access there so the entire first floor including the restaurant is wheelchair accessible. Don’t think I have seen such a lovely corner tub as this jacuzzi. Taking a shower with the large rain head and a corner seat was luxury I loved. I adored being only minutes away from downtown Banff yet feeling tucked away in the quiet cozy hotel being one with nature and the mountains. 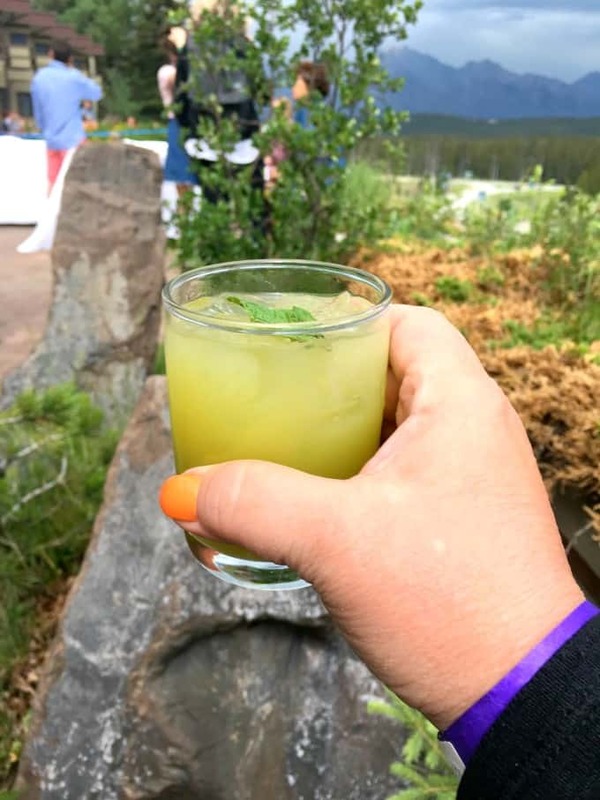 The main reason for my coming to the Juniper Bistro was for the Summer Solstice Celebration. 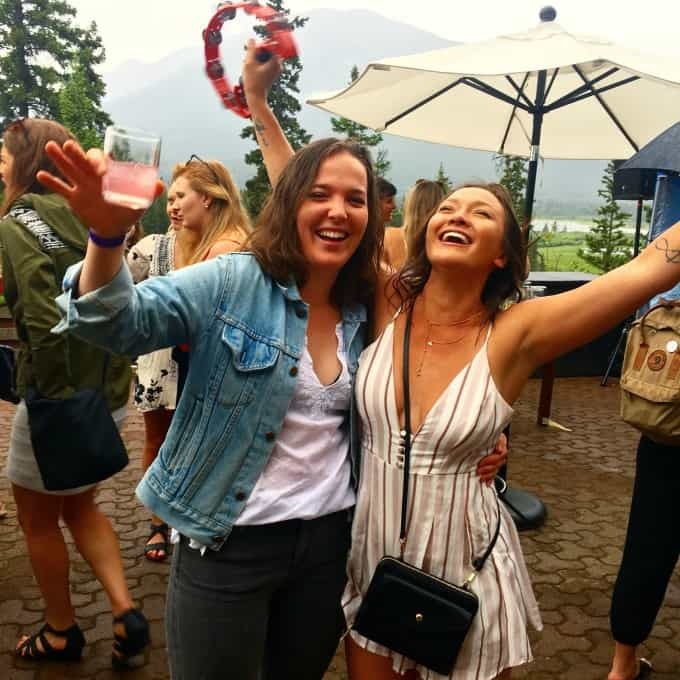 This event is held annually and attracts many young locals from Canmore, Lake Louise and Banff. Tickets are only $20 which includes one beverage and samplings then further drink and food tickets can be purchased. There is a VIP package for just over $100 that includes all you can eat and drink and early entrance. Ready for the party was Big Rock Brewery with their offering of Kolsh (beer) or Cider (apple). 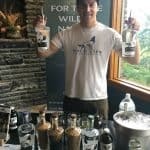 Plus Wildlife Distillery with their gin or vokda with tonic. 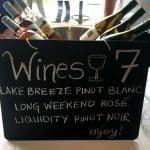 Lovely wines were also offered and my new fave is the Lake Breeze Pinot Blanc for summer!! Canadian wines at their finest!! The Affogato (espresso and ice cream) from Fratello was simply amazing. 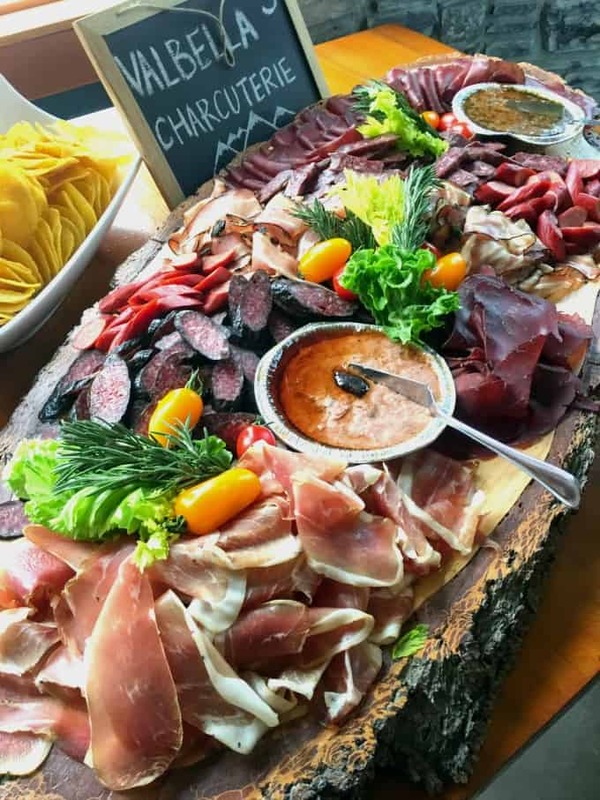 Valbella Gourmet Foods from Canmore was there with an incredible charcuterie like I have never seen!! Mouthwatering and delectable were each item! During the VIP hour specialty cocktails were being made. 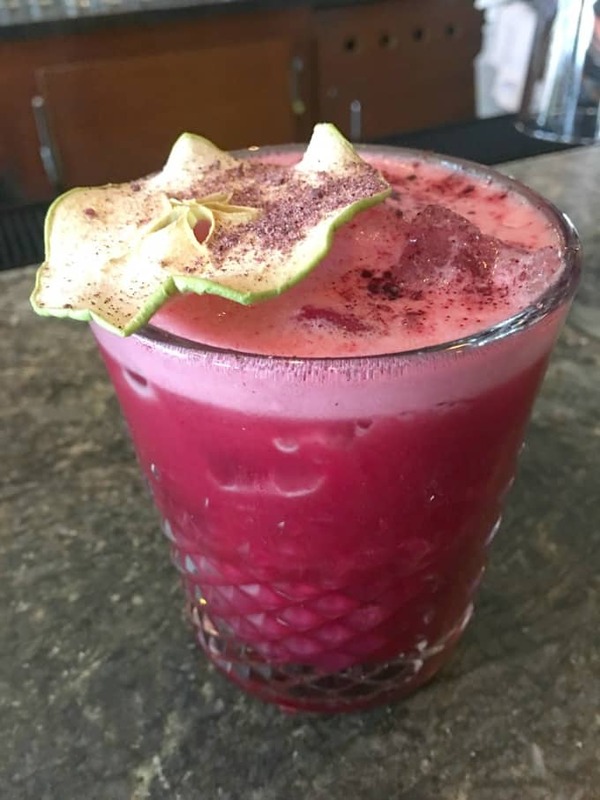 This Cassie’s Buffalo was an amazing libation. Something I couldn’t recreate at home so I have to go back to The Juniper Bistro to enjoy it again! 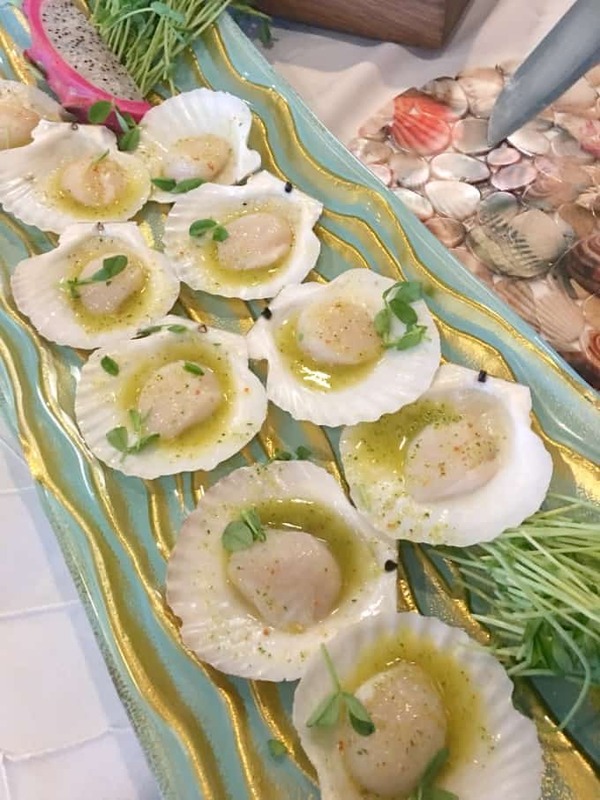 Scallops ceviche was something I have never had before but I have to say I really like “raw” scallops as opposed to cooked ones and these were sublime!! 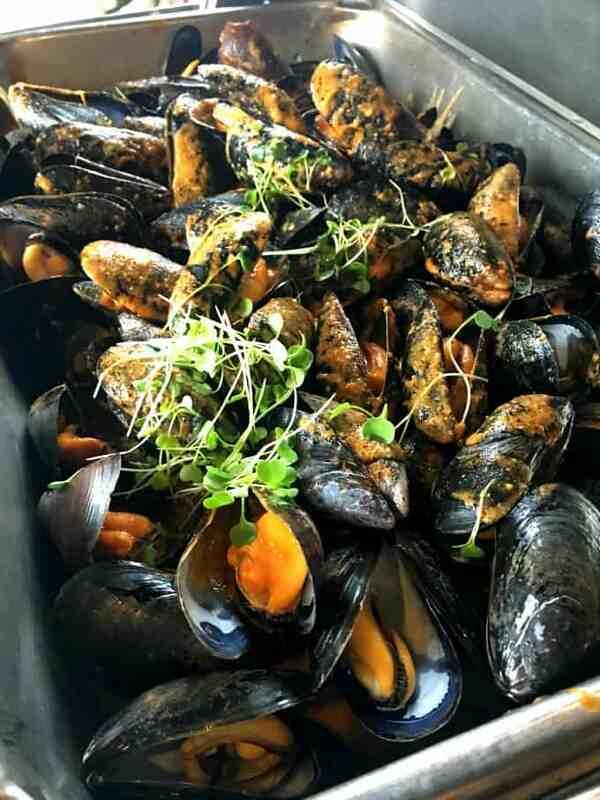 As I was mingling through the crowd I smiled as I watched people licking the shells of these mussels. That is how good they were!! Watching the wild boar being basted was a real treat. 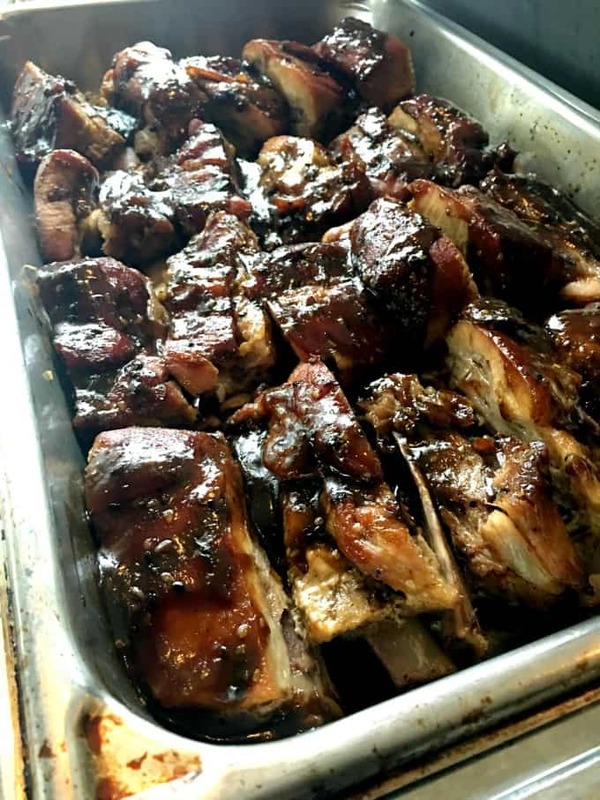 Listen to the chef tell you all that went into the marinade. This wild boar was from Winnipeg, a true “Winterpig” LOL! Not only were the ribs amazing but they also did pulled wild boar on a bun with a gorgeous crunchy slaw. The boar was so flavorful and juicy!! As the afternoon went on turning into evening different cocktails were offered. This one is called the Cumbersome and was, you guessed it cucumber based. 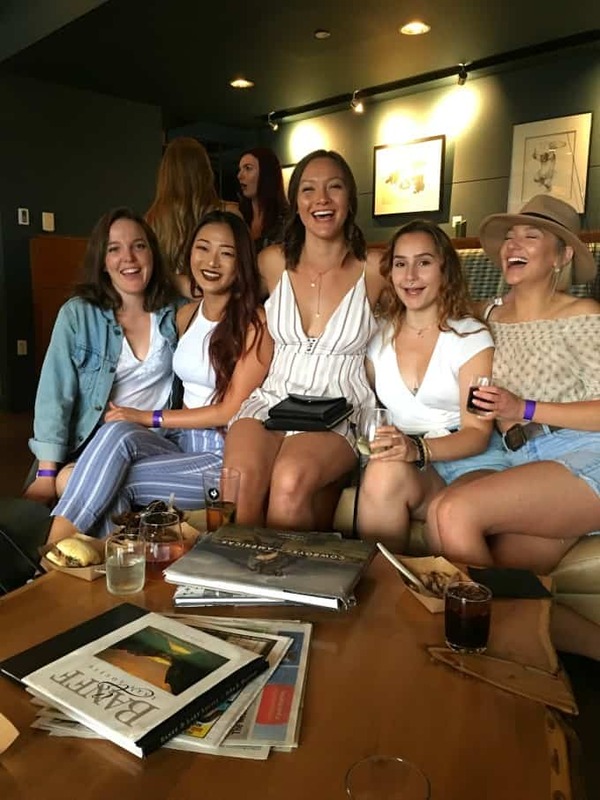 Celebrating the arrival of summer in the mountains is a joyous occasion and I was happy to share my time with this lovely group of gals!! 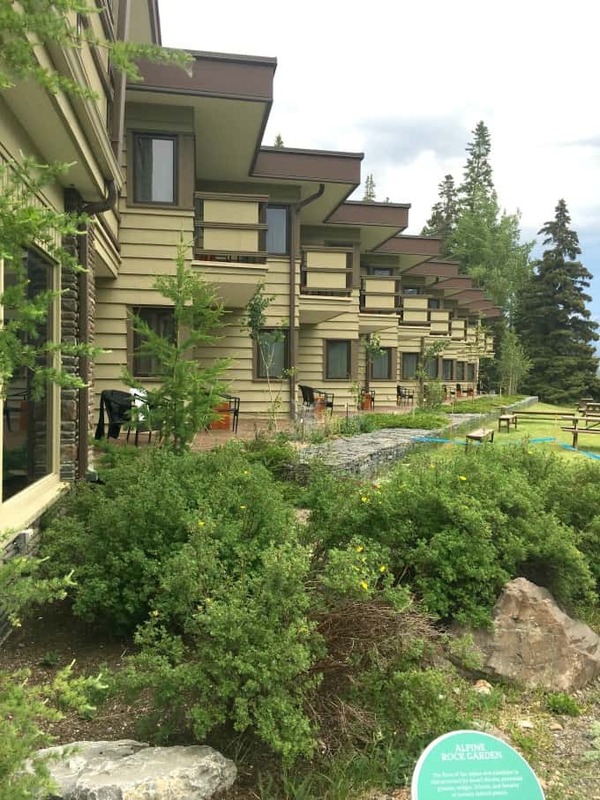 Come to Juniper Hotel to enjoy all the seasons the mountains have to offer. If it is hiking in the spring or summer or skiing in the fall and winter you will love this little hide away in the mountains. 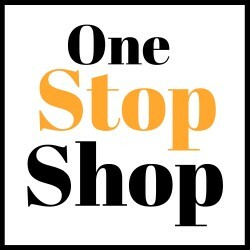 Be social and share in the fun on Facebook, Twitter and Instagram. What an awesome place to hang out with friends during the summer solstice. That celebration sounded great with all of the delicious food and the view! What a gorgeous place to enjoy good food and company! That prosciutto looks amazing!! 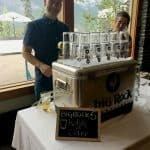 I would love to check out Juniper Bistro in Banff. I was in Banff briefly a couple of years ago and it was just beautiful. It sounds like that meal was quite a memorable one with lots of interesting foods. That is one amazing place you went to. I love that prosciutto! That looks like such a fun time! Look at all that amazing food too. I would love to have some of that right about now. I would love to go there someday! This looks like paradise. Need to add this to my bucket list. What a room with a view! 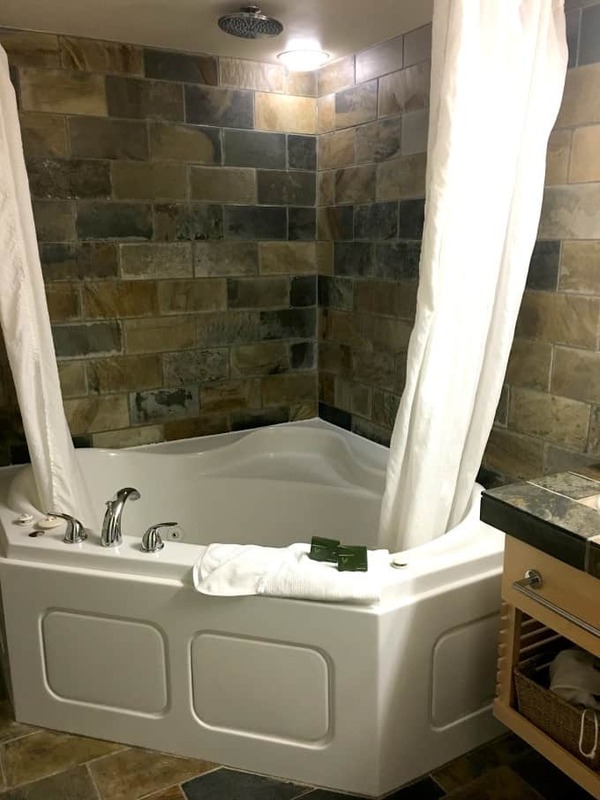 That tub looks very relaxing. 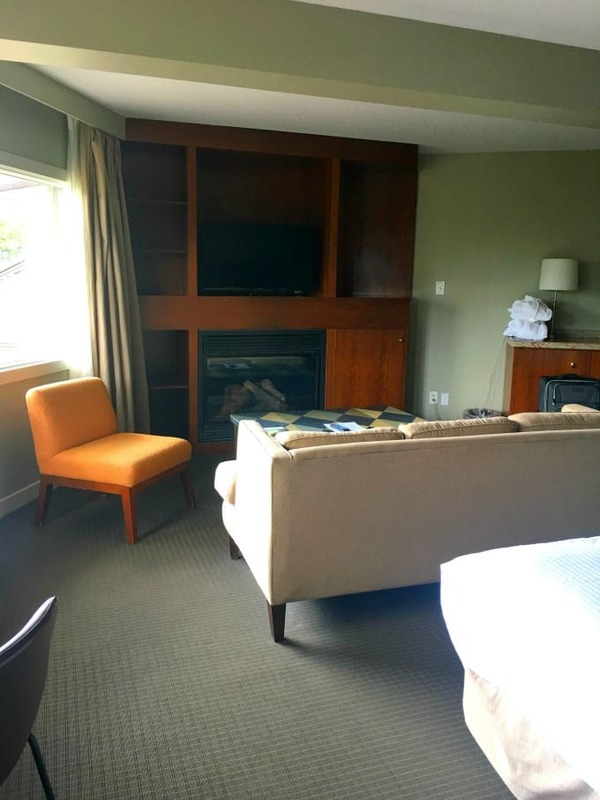 There is so much I want to see in Banff, but this hotel is going to make it so hard. How could you ever leave that king suite?!? Woah. This looks intense. I have never been anywhere that serves wild boar. We’ve been to Banff several times and the area is absolutely beautiful. Thanks to your inspiring photos, I can’t wait to get back for another visit to check The Juniper Bistro out. Great place, beautiful views and that food looks amazing! That looks like a great place to celebrate the summer with some friends and make new memories.